Clearly, this is a great display container for whatever you choose to exhibit in your store. 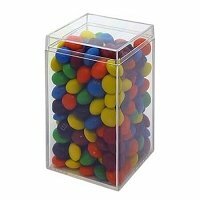 This clear plastic 5-Inch Cube Bin is a perfect vehicle to showcase all that sweet wonderful colored candy from candy-coated chocolate pieces, fruit chews and more. 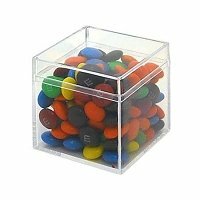 Pack our square cubed bins full of your smaller items and place this clear plastic display on your shelves, counters or other small spaces available to you. It is also a great way to potentially increase impulse buying near the cash registers or service counters full of five-cent candies. 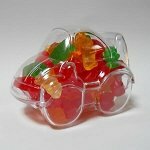 Set up alone or combine with the four and six-inch plastic cubes as well for a fun design and height differential. Looking for table risers for a special occasion? 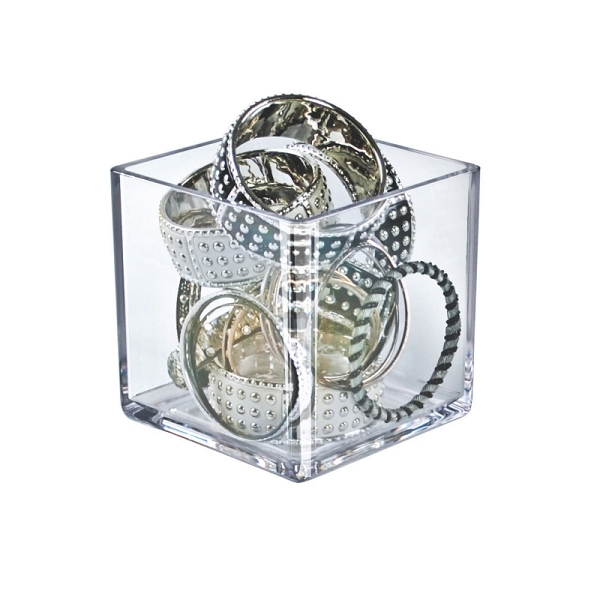 Simply flip this plastic container over and place your showcased item atop. Make sure to order your mini styrene bins today!